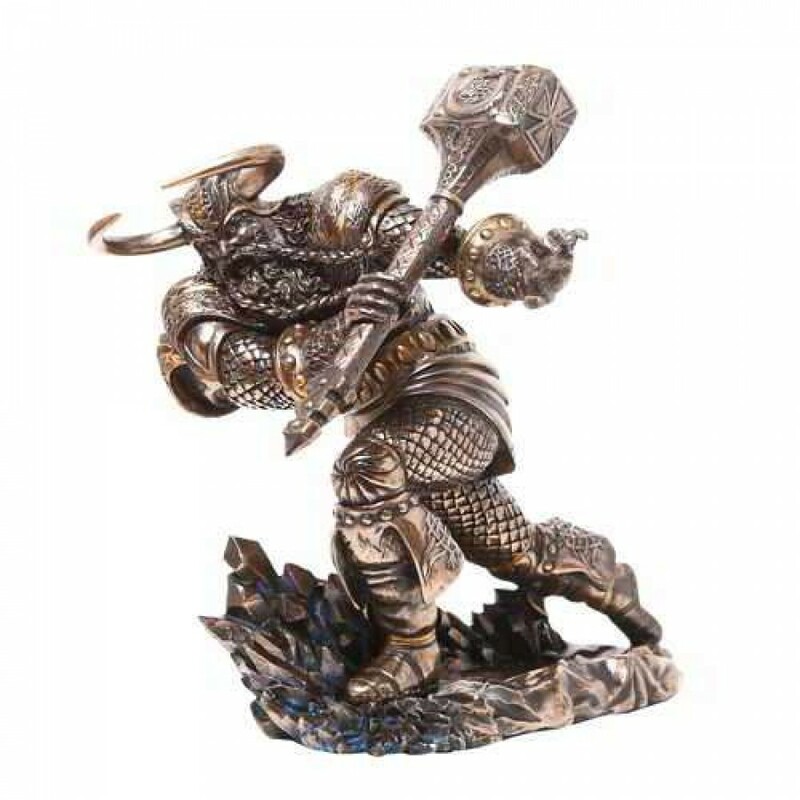 Derek W Frost designed this incredible, action packed statue of Thor attacking with his famous hammer, Mjolnir. Thor was the son of Odin and Fjorgyn. He was the god of thunder, the sky, fertility and the law. 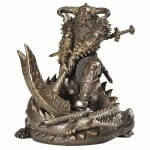 Armed with his strength-giving items, a belt and the hammer Mjölnir, he had a simple way of righting wrongs: he more or less killed everything that moved. The other gods - mostly Loki - occasionally took advantage of Thor's simplicity. Thor of course has been most recently depicted by Chris Hemsworth in the Thor and Avengers movies. 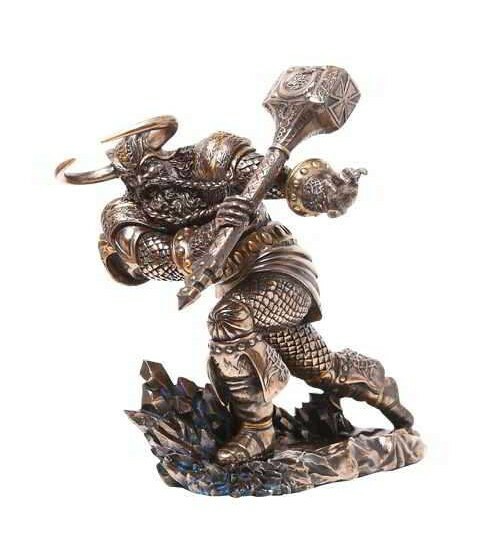 This statue by artist Derek W Frost is packed with detail depicting Thor charging into battle wielding his mighty hammer, Mjolnir. 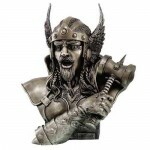 Cold cast bronze resin with hand painted detail, this Thor statue is 9 inches tall. Item Number: PT-8929 | Approximate Size (Inches): 10.00 wide x 6.50 deep x 9.00 high | Approximate Shipping Weight: 4.50 lbs. Mjölnir in Old Norse means "That which marks and pulverizes to dust".A amul..